Atrocity Act 1989 (Scheduled Castes and Tribes -Prevention of Atrocities), is an Act of the Parliament of India enacted to prevent atrocities against scheduled castes and scheduled tribes. The Act is popularly known as POA, the SC/ST Act, the Prevention of Atrocities Act, or simply the Atrocities Act. Article 17 of Indian Constitution seeks to abolish “untouchability” and to forbid all such practices. It is an Act of the Parliament of India enacted to prevent atrocities against Scheduled Castes and Scheduled Tribes (SC/ST) and to ensure their fundamental and socio-economic, political, and cultural rights. The objectives of the Act are to deliver justice to these communities through proactive efforts and to enable them to live with dignity, self-esteem, fearlessness in the society. It protects them from any kind of violence or suppression from the other dominant castes and helps them by socially including them into the Indian society. The practice of untouchability, in its overt and covert form was made a cognizable and non-compoundable offense, and strict punishment is provided for any such offence. The constitution of India talks about equality but despite that, there is no equality among the citizens of India due to the traditional caste system, because of which many citizens treat the lower caste people ruthlessly like animals. There are various fundamental rights granted by the constitution of India to abolish this caste based discrimination, but the tyranny is that even the Constitution of India failed to grant equality to the lower caste. Despite various measures adopted to improve the socio economic conditions of the SCs and STs they are still the vulnerable class and are subjected to various humiliation, offences, indignities and harassment. They are also denied of many of the civil rights which a normal citizen of India possesses. According to National Crime Records Bureau (NCRB) 2017 data, the numbers of crimes against scheduled castes have gone up by 5.5 percent in 2016. Many of these recorded cases were discarded due to lack of evidences against the guilty. Many journalists have stated that the investigating agencies and administration are not implementing the law properly. On the contrary, courts have also addressed many cases to be fraud and with no strong accusations against the offenders. 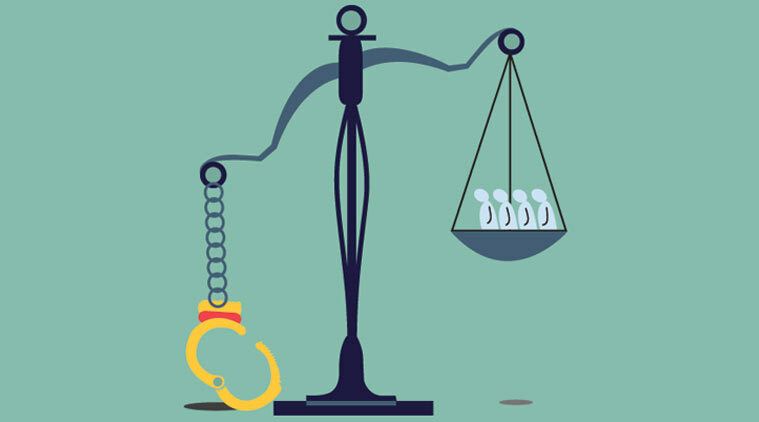 The court has warned many Scheduled Caste and Scheduled Tribe citizens of the repercussions of filing a fraud case against an innocent person. But to many Indians, these things become blurred due to lack of transparency in the Indian judiciary system. Scheduled Caste and Scheduled Tribes (SC/ST) had many advantages of the POA Act, 1989. If an offence is committed under the Act, the crime is investigated by a police officer not below the rank of a Deputy Superintendent of Police. This feature allows less chances of case not filing or evidence tampering due to many external and political factors which are influential and can control the administration through lower ranks officers. It also ensures that there will be no or minimum amount of misuse of the Act. The cases recorded must be investigated and solved in right lines within the shortest possible time. The Act has many benefits but it has some limitations too. Some of the non-societal member tries to make the most use of the legal opportunism and tries to get someone innocent involved in these cases. These fraud cases causes huge defamation of wrongfully accused person and the consequences of such scenarios are long-lasting. The POA Act, 1989 was a good initiative by the government of India, but everything needs changes and amendments with time. The government must try and bring more changes to help the dalits to fight for their rights. It is a suggestion that special courts should be established for speedy trials of the cases of atrocities against scheduled castes and scheduled tribes (POA Act, 1989). As most of the scheduled castes and scheduled tribes population illiterate and unaware of such beneficial acts, the court must provide enough assistance to help them approach the courts and complete the court proceedings. It is also suggested that serious offences such as rapes and murder against the weaker sections be dealt with the help of the National SC and ST Commissions and NGOs. Please find few debate questions for actrocity act 1989. Do we have to scrap SC/ST Act? Disclaimer: This article is our personal views. If you agree or don’t agree with our thought please comment below. We will add your suggestions to our articles too with your name.